Indigo Sadie Slim Leg Jeans is rated 4.7 out of 5 by 22. 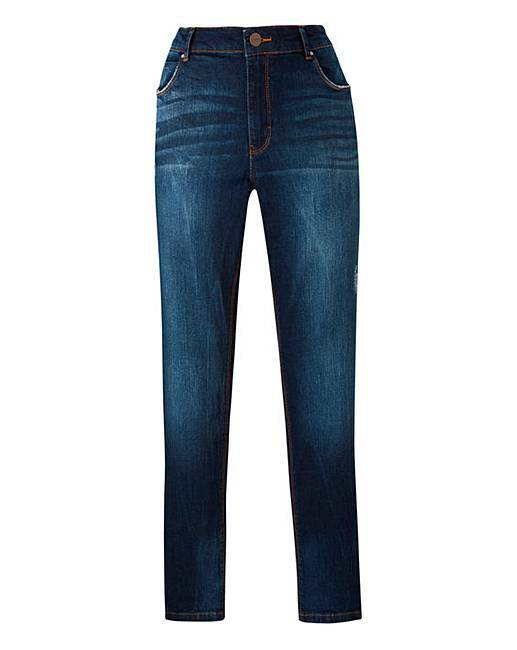 A pair of great-fitting, slim-leg jeans are a must-have in every woman's wardrobe, making these Sadie jeans an essential addition to your casual-wear collection. 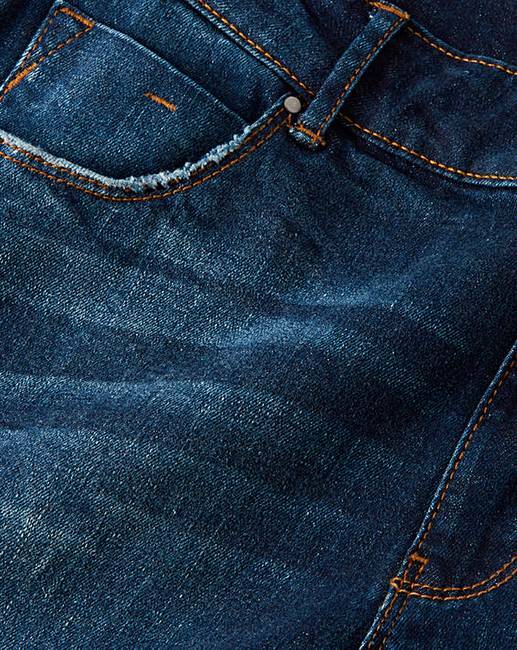 Boasting a relaxed fit through the leg, these women's jeans have been newly improved this season, and are now made from a soft, authentic stretch fabric that looks just as good as it feels. Featuring a mid rise and optional turn-up hem, these stretch jeans can be customised and dressed up or down to suit the look you want to create. Complete with a subtle distressed look for added authenticity. Rated 4 out of 5 by MareePSasja from Comfy & great price - baggy in thigh I got these at a very good price (on offer) so I can't complain. These are unbelievably comfy jeans and the leg length is perfect for me - I ordered a size 16 (I'm usually between a 14 and 16) but wish I'd gone for 14 as these are a little baggy around the thigh. A common problem for me as I have slim legs and tend to put weight on around my bust, stomach and hips. Unfortunately the 14 is sold out so I'll keep these. Just wish the thighs were a better fit. Rated 4 out of 5 by titchattack from Nice fitting jeans These are nice looking jeans which fit like a glove. Rated 4 out of 5 by Sharon66 from Comfy fit Lovely and comfortable to wear, I'm 5ft 7 and there just past my ankle, ideal length for ankle boots for me. Very true to size. 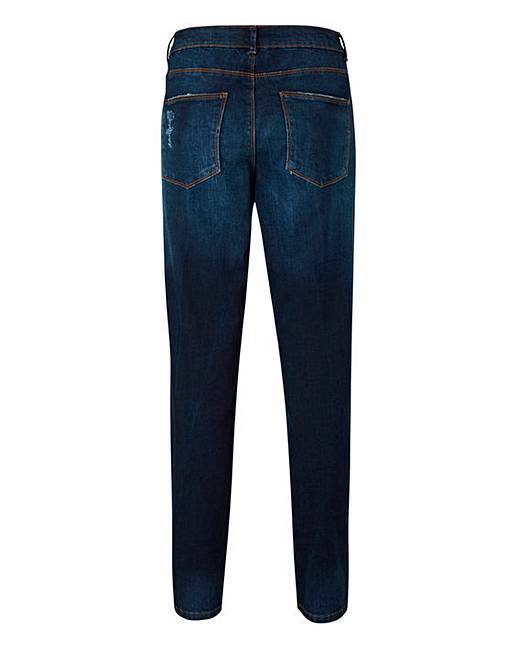 Rated 5 out of 5 by AlisonC from Quality jeans Bought these and have to say very comfortable soft denim like them alot ! Rated 5 out of 5 by Hunter from Flattering I bough these in a size 14 and there is plenty of give in them that I decided to buy them again in a 12! They are so flattering and modern and great dressed up or down.